PQube and Bigben Studios are pleased to reveal the newest trailer of their exciting arcade racing franchise, FlatOut 4: Total Insanity. FlatOut 4 is coming toPlayStation®4 and Xbox One, the all-in-one games and entertainment system on March 17, 2017. 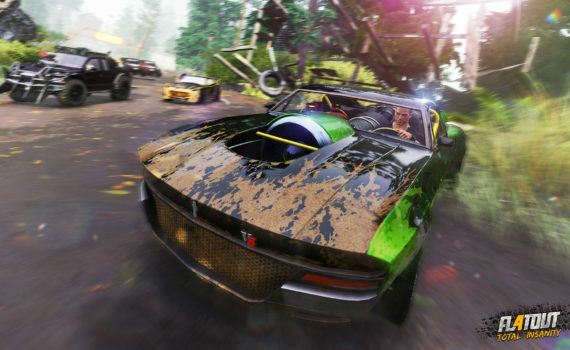 The gameplay trailer shows off a bit more of the new modes available in FlatOut 4. With a detailed and expansive damage system, vehicles deform and explode in real-time with each smash and crash! The legendary stunt mode is back – Whether you have the gentle soul of a golfer or the destructive desire to demolish all opponents, you will find your jam in FlatOut 4.